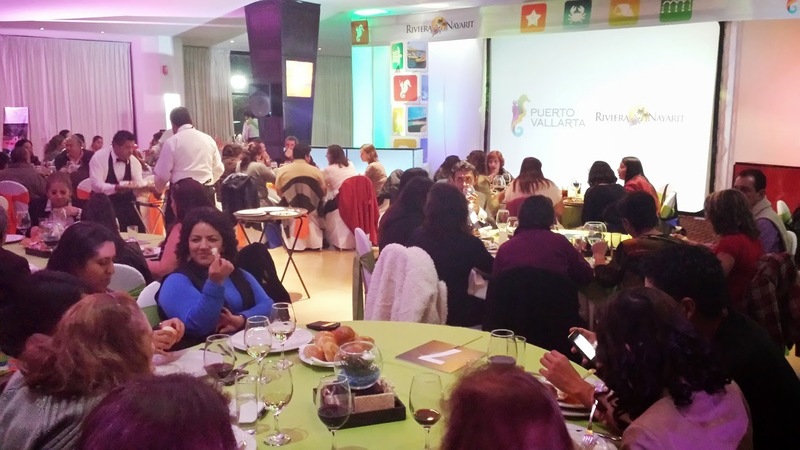 430 national travel agents throughout Morelia, Querétaro, San Luis Potosí, Aguascalientes and León received training on the most relevant updates from the Riviera Nayarit and Puerto Vallarta. The traditional Bajío Tour to promote the destinations of the Riviera Nayarit and Puerto Vallarta in this important region of Mexico took place from February 9 – 13, meeting with great success throughout five cities. Four hundred and thirty travel agents were updated on the most relevant news from the Riviera Nayarit and Puerto Vallarta during these five days of intense promotional work. Twenty-four bay-area hotels participated in the different events. The cities on the tour included Morelia, Querétaro, San Luis Potosí, Aguascalientes and León; these are among the top ten cities of origin for tourists to the Riviera Nayarit according to the 2014 Annual Visitor Research Report conducted by the Riviera Nayarit Convention and Visitors Bureau (CVB). These events include different interactive situations where the agents participated and competed. Through these games they receive promotional information that can later be put to the test to guarantee the objectives were met. At the end, their enthusiasm for selling both destinations is rewarded and encouraged when the winners are given complimentary stays at the hotels. The importance of focusing on certain regions of Mexico speaks to the need of maintaining market diversification, thus guaranteeing the influx of tourists to the destinations.